Lovely jacket in teddy fabric from CHEAP MONDAY. 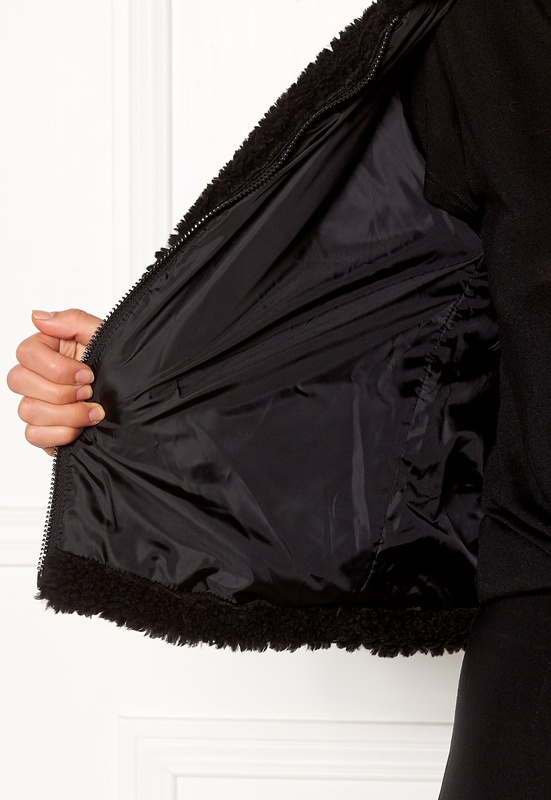 The coat has a large, cozy collar and is perfect for colder weather. - Nonstretch, woven quality - Silver gray zippered closure - Zippered front pocket - Brand logo on back Back length from shoulder 53 cm, bust 98 cm, sleeve length from shoulder seam 57 cm in size S. The model is 170 cm tall and wears a size S. Machine wash at 30 degrees (delicates).